Apple doesn't support Adobe Flash video on iPad or iPad 2. That has also carried over to the new iPad, which means you won't be able to play flash videos on the new iPad, however, here are also several 3rd party apps that can help to transform the Flash video to Apple-supported H.264 video, so you can play it. The following guide tells how to play flash videos on the new iPad in high quality. Skyfire 2.0, a mobile browser application tool that converts Flash content to HTML5, will allow your iOS device to stream Flash videos from the Web has been approved by Apple and available in App Store. Now you can watch most clips across the entire web on your iPad. Note: Skyfire Web Browser only supports Flash videos on the iPad, but Flash Games, Flash apps, Hulu are NOT supported. When users click on a page that contains Flash video, Skyfire's servers download, render and translate the video into HTML5, which is a Web standard that iOS devices support. Skyfire then displays a thumbnail that users can click on to stream the video from its servers. Generally, Flash format includes SWF, FLV, F4V. These three kinds of Flash video are widely used and transferred in online video websites. iFunia iPad Video Converter could convert flash videos (*.flv, *.f4v) to H.264 or MPEG-4 encoded videos that are compatible with the new iPad. The following guide tells how to convert flash videos to play on the new iPad in high quality. Load videos to this Mac Flash to iPad converter by clicking the Media Browser icon at the upper right corner to load your Flash videos (*.FLV, *F4V) to this iPad Video Converter. You can preview the imported video and capture a photo during the preview. After the preparation work is done, go to the setting panel on the right. Click the drop-down arrow under "Output Format". 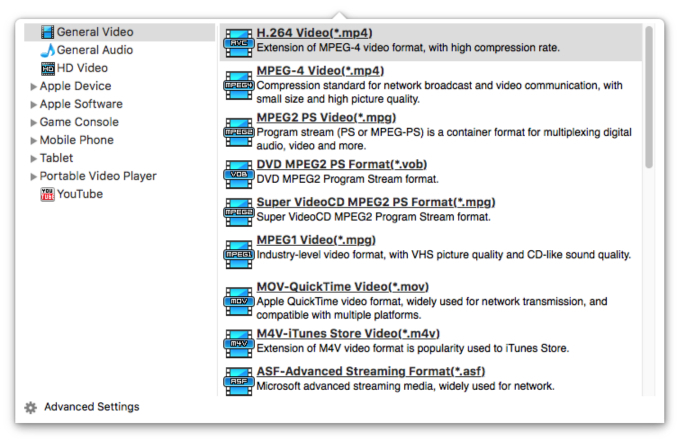 There are output profiles for all kinds of video formats for iPad which have been optimized and are suggested for use. After all the settings are done, just hit the conversion button and let this smart flash FLV/F4V to iPad Video Converter for Mac to do the rest for you! After the conversion, just transfer converted Flash videos to the new iPad via iTunes, then you can enjoy playing Flash on the new iPad.